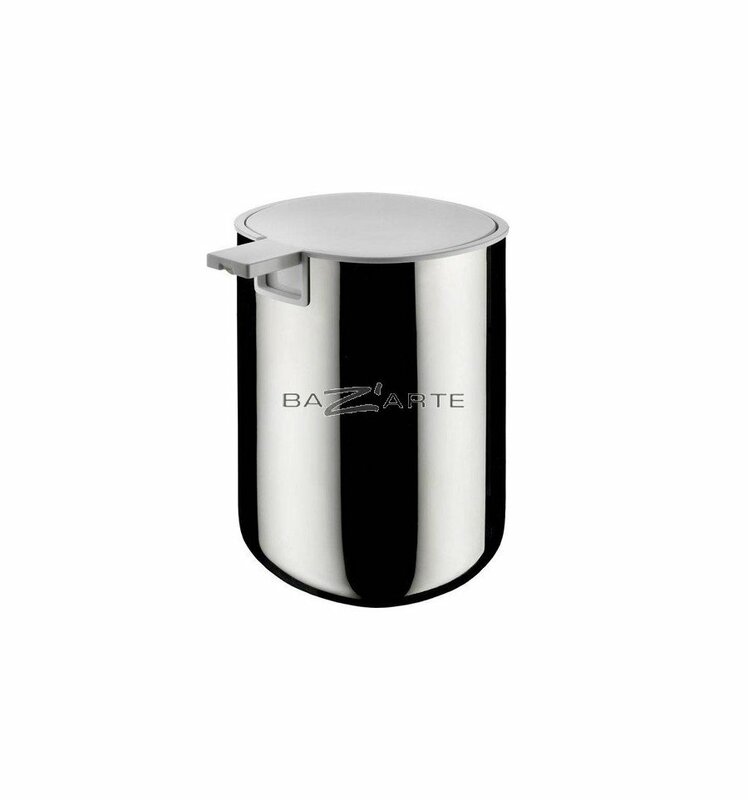 Liquid soap dispenser. 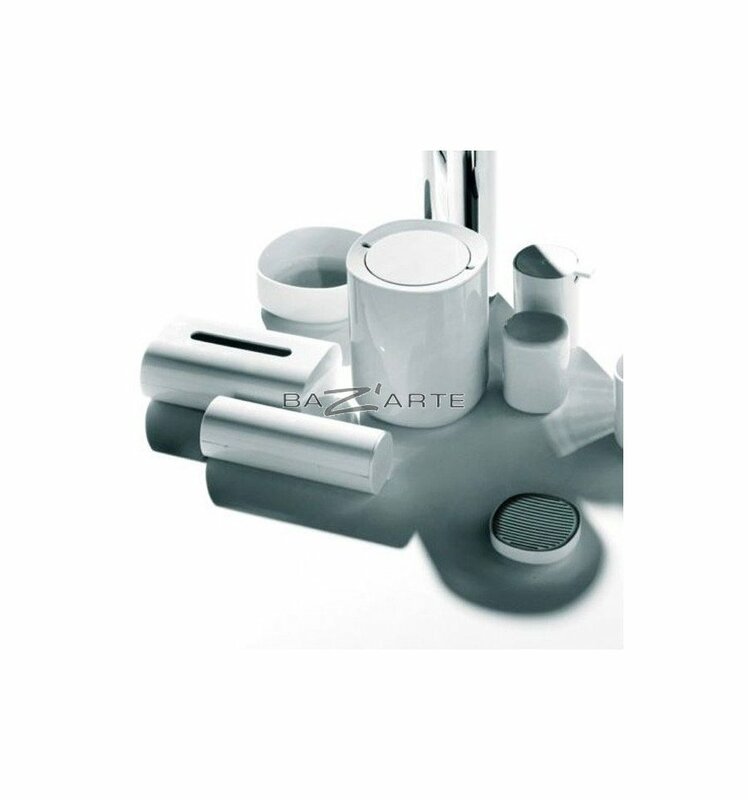 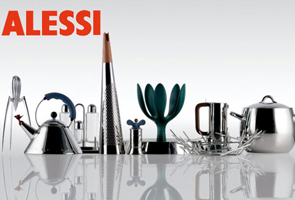 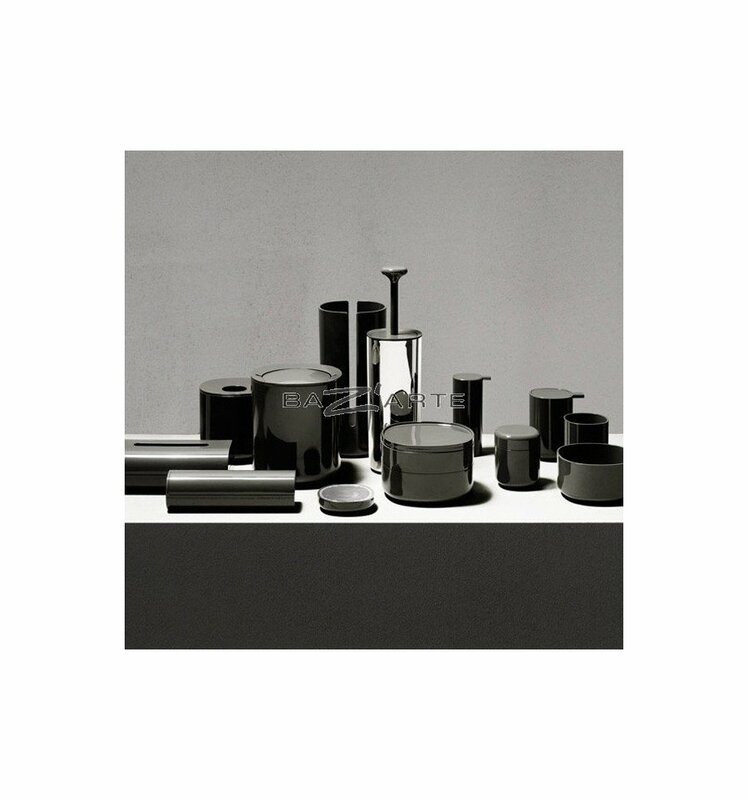 Faithful to the minimalist style that characterizes all his work, Piero Lissoni has designed for Alessi a full range of toiletry products, starting from a classical form. 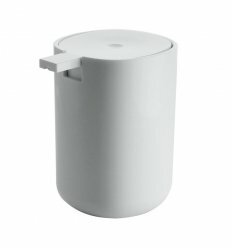 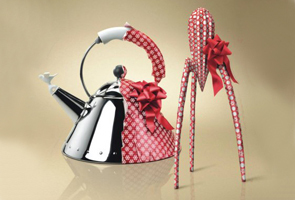 The choice of the basic form for the Collection "Birillo" is an "imperfect square." The base is hidden to give the impression that the object floats. 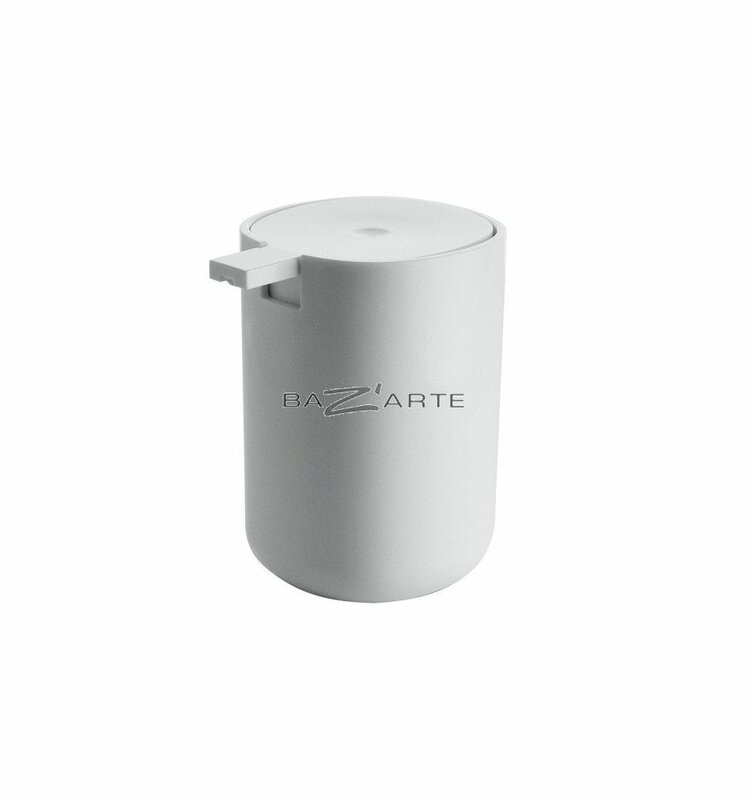 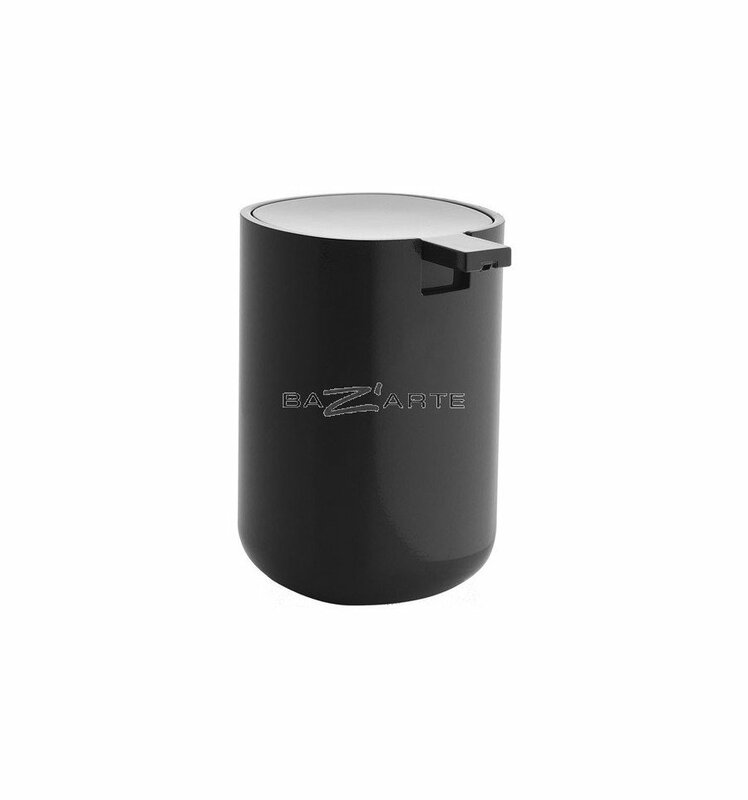 The container, in thick thermoplastic PMMA with a white finish mirror, can be used for all types of toiletries, cosmetics, hair brushes, hairgrips, etc.